Whew, is it really already time to share my 2017 Q1 Finish-A-Long progress and set out my goals for Q2?! Gah, where has the time gone?! 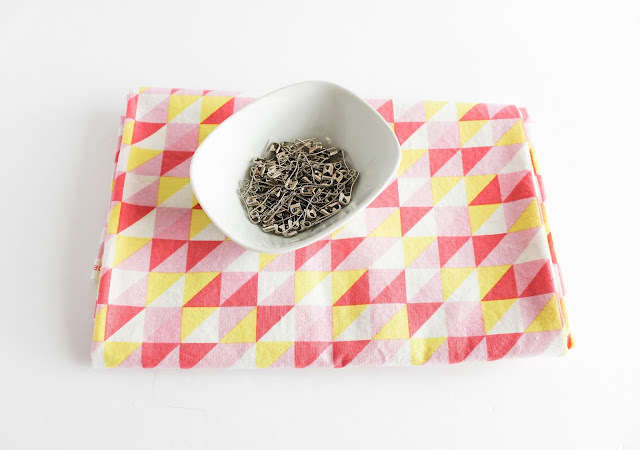 There was one project I absolutely had to get done and that was this cute little Scandinavian Quilted Mug Rug that I made for my brother’s birthday. I just couldn’t allow his special day to come and go without some form of quilty love to show him how much he means to me. And it just warmed my heart when he said he loved it!! How could he not…I made it just for him, after all! But he is a guy’s guy who loves sports and I wasn’t sure how much a modern quilted mug rug would really be a “yay” kind of present to receive. But he seemed genuinely touched that I took the time to make him a little handmade goodness. 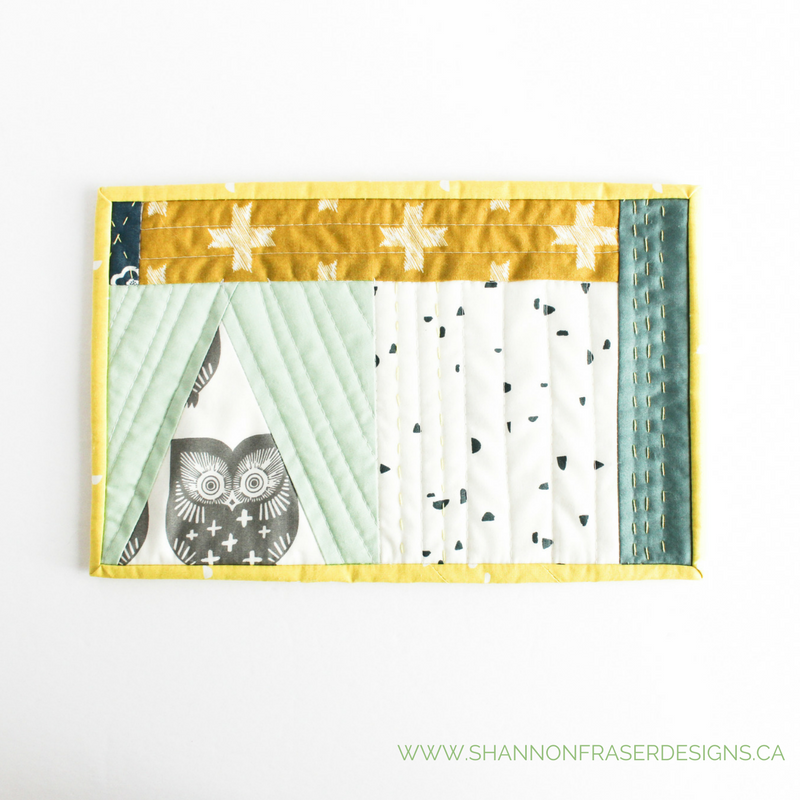 This little improv mini received lots of love on Instagram as well, and so many of you particularly loved the little owl peeking through the curtains and the big stitch hand quilted details. Those were some of my favourites too!! What is it about hand quilting that just elevates a project? And I was just tickled pink when Pat Bravo, the designer of the Heartland fabric line I used, shared a progress shot on her Instagram feed. What an awesome feeling! It’s love all around on this one!! So, that’s the good news! The bad news is that I’ve made progress on several of my other works in progress but, sadly, no additional finishes. I am beyond happy that I have finally finished all the hand needle turn appliqué on this Riley Blake Designs black and white table runner, featuring their Sashing Stash fabric! That was such a long process and not one I’m eager to do again. I quite enjoy hand appliqué, but having to turn under the seam allowance as I go just seemed unnecessarily fiddly. And I’m not one for fiddly. So, it’s a relief to have that part come to an end!! I even managed to get her basted, quilted and have made significant progress on the hand binding. Only to run out of black thread halfway through the binding! Gah, how frustrating is that?! A little trip to the fabric store is in order for a restock and this one should be done in no time. My improv Playground fabric scraps quilt was moving along really nicely. I had the top all finished and was working up the oomph to baste her. While the top was displayed on my design wall, my mother in law was over and mentioned how much she loved it. Since I haven’t made a quilted project for her yet, I thought this would be perfect to gift her for her birthday in April. Only, at that time, the quilt top was a baby sized quilt and that just wouldn’t do. So, I dug through my stash and found some Essex Linen to border it with and bring it up to a generous lap size – perfect for snuggles on the couch! The borders have been added and now takes up a significant portion of my design wall (lots of other quilt blocks had to be stored to make room!). As soon as I piece the backing, I’ll be able to focus on working up the energy for the dreaded basting stage. Wish me luck! My favourite quilt at the moment is my Pink Lemonade Quilt. This one is bringing me so much joy and comfort that I just don’t want to see the quilting journey come to an end! She’s been basted and machine quilted with Aurifil 50wt white thread #2021 (my fave for piecing too). Since this one is a baby size quilt, I figured it would get washed on many occasions and wanted some nice foundation quilting to make her a little sturdier. 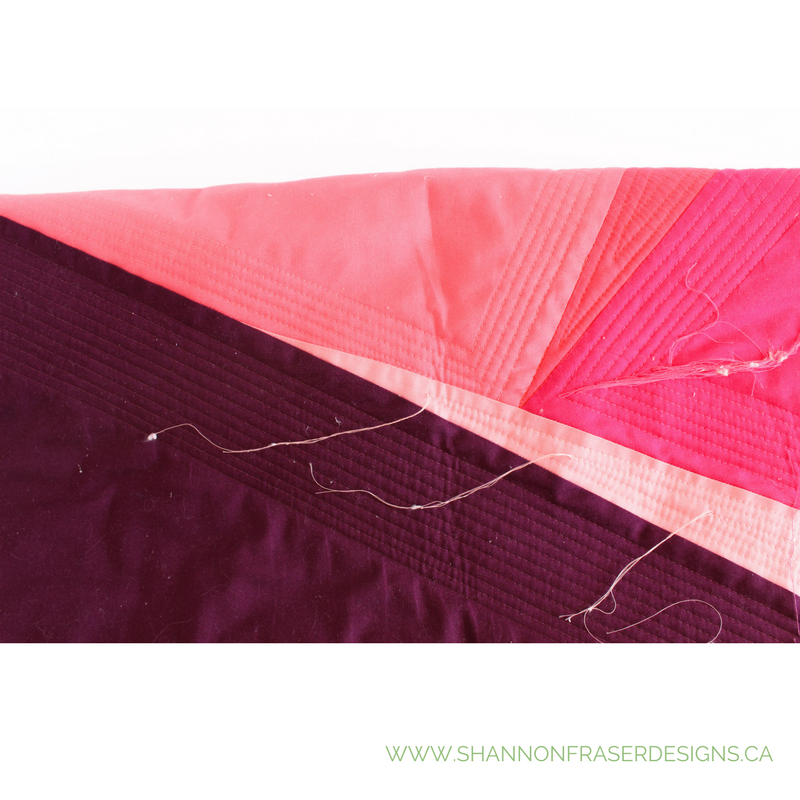 I’ve shared a sneak peak of the hand quilting I’m doing with 12wt Aurifil thread to add some additional detail and quilty goodness. I got my first round done and thought it needed a little more hand quilting in the white squares. There has been quite a bit of hand sewing going on over these past few months and I don’t want my tendinitis to flare up. So, it’s steady as she goes and not pushing it too much. In the end, I got one of my five projects finished. And the one I did complete was a mini! Ugh, not the best, but I’m encouraged by the progress I’ve made on the other 4. And progress is better than total stagnation. 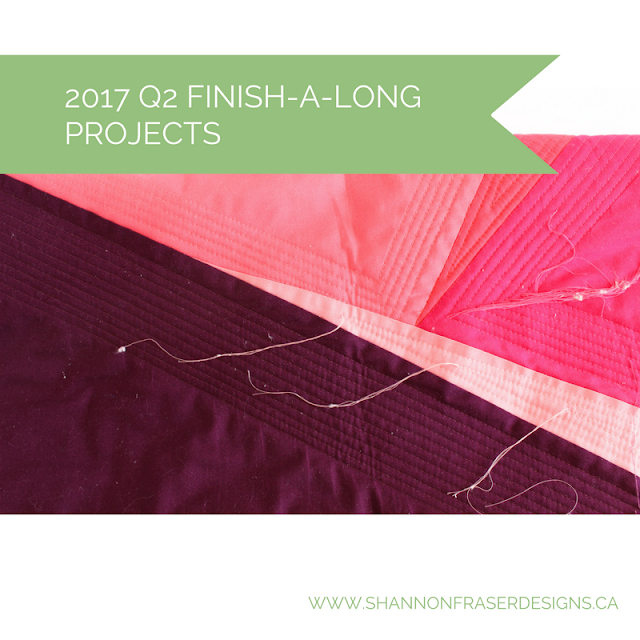 These 4 projects are being moved to my Q2 2017 Finish-A-Long list and I'm also adding a couple more. First up is a little secret sewing. Since it's a secret for the time being, I can't really show much, but trust me when I say you're going to love the bright cheerful colours I'm getting to play with. The new quilt pattern I've designed for this project has been finalized and the cutting is well underway. I've also got a small little scrappy project planned too! 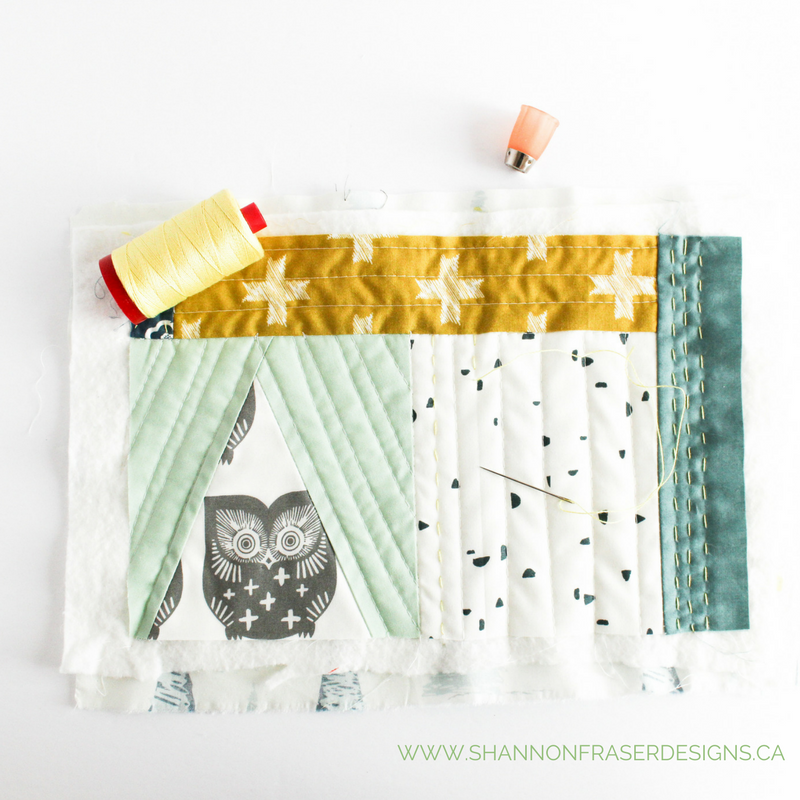 Here's a shot of my favourite Omnigrip quilt rulers in the meantime 😉This one is due for sometime in May, so stay tuned for that!! 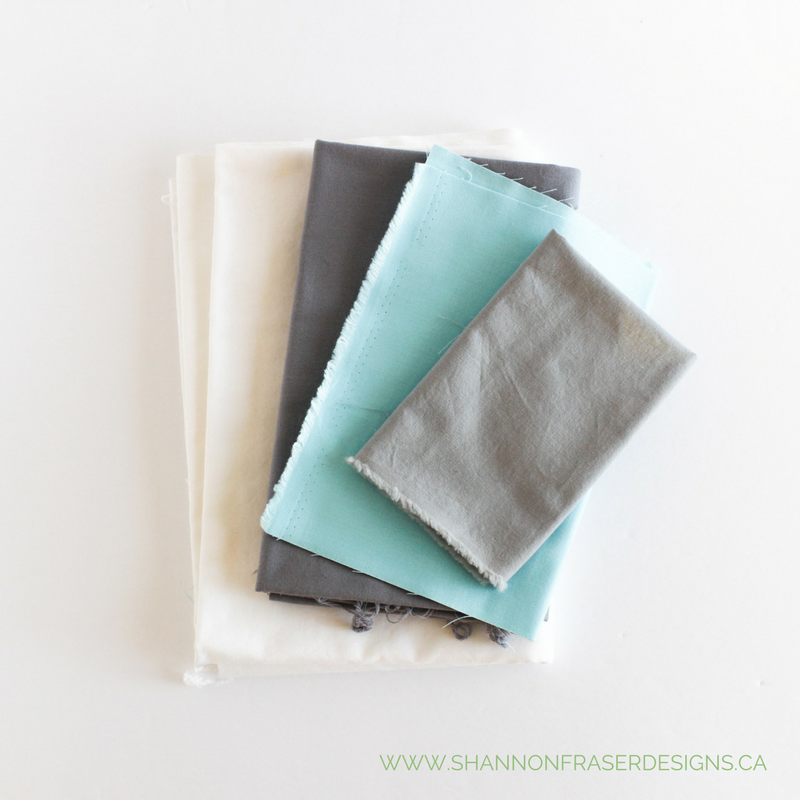 I'm also working on a custom quilt featuring these gorgeous neutral tones. The one pop of colour is Kona Solid in Robin Egg - gosh I love this colour! 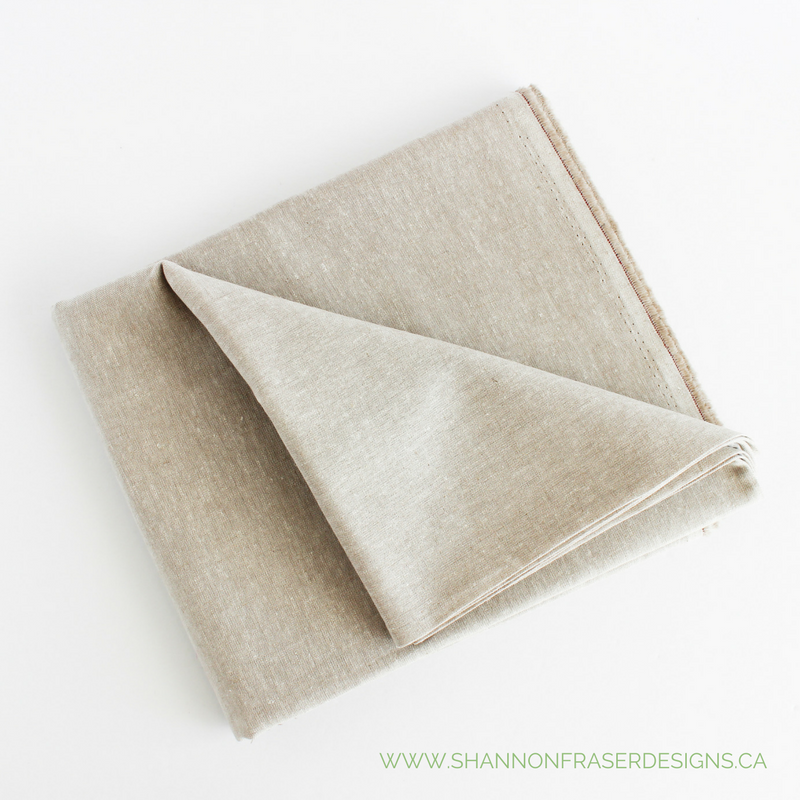 I'm really on a linen kick at the moment and see myself needing to order some more Essex Linen in Flax - a current fave. 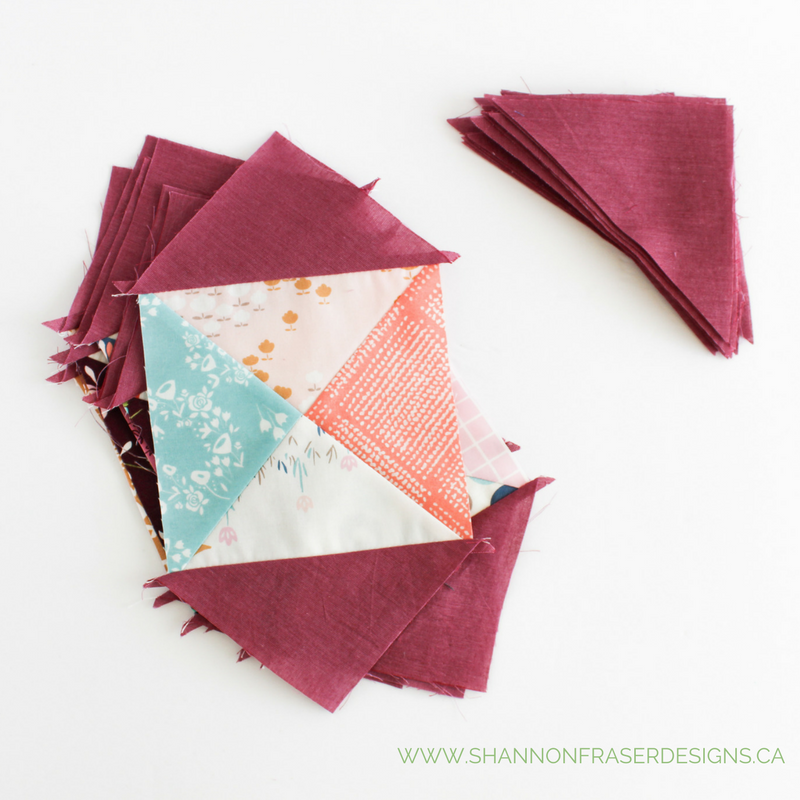 I'm using my Medallion Squared quilt block pattern (free pattern available here) for this one and loving how different the block looks with a softer colourway. 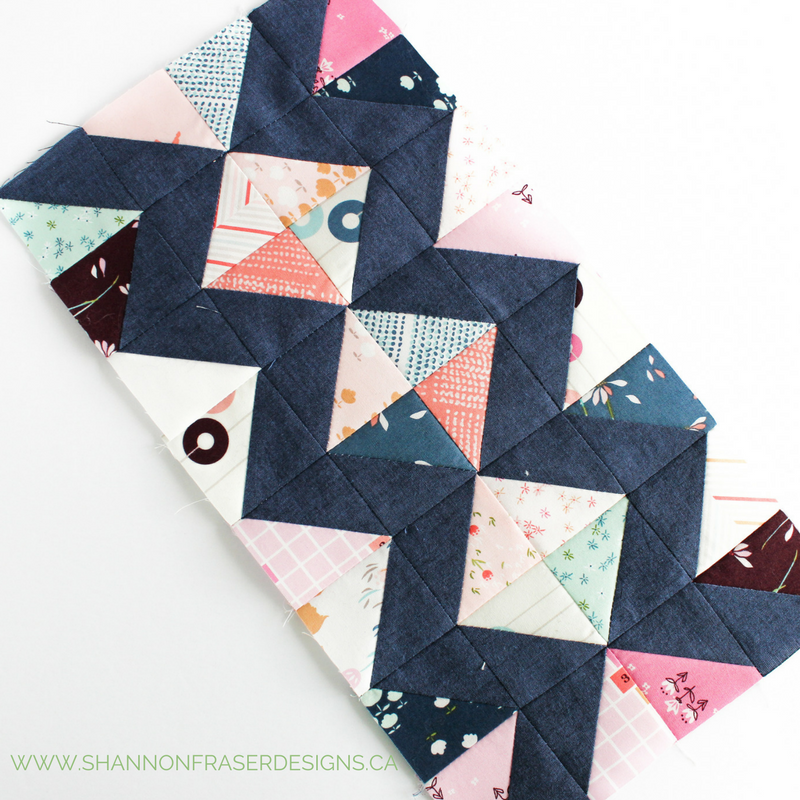 Be sure to stop by my lovely quilty friend Izzy’s blog over at Dizzy Quilts to see all the Q1 finishes and proposed new projects for Q2. 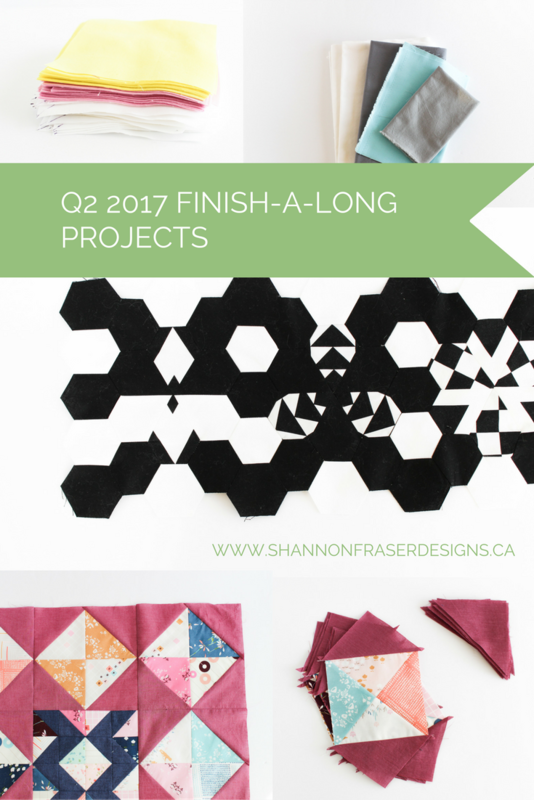 If you’re playing along with the 2017 Finish-A-Long I would love to hear how you’ve made out this quarter and what you've got planned for next! great projects, hope you get lots done!!! 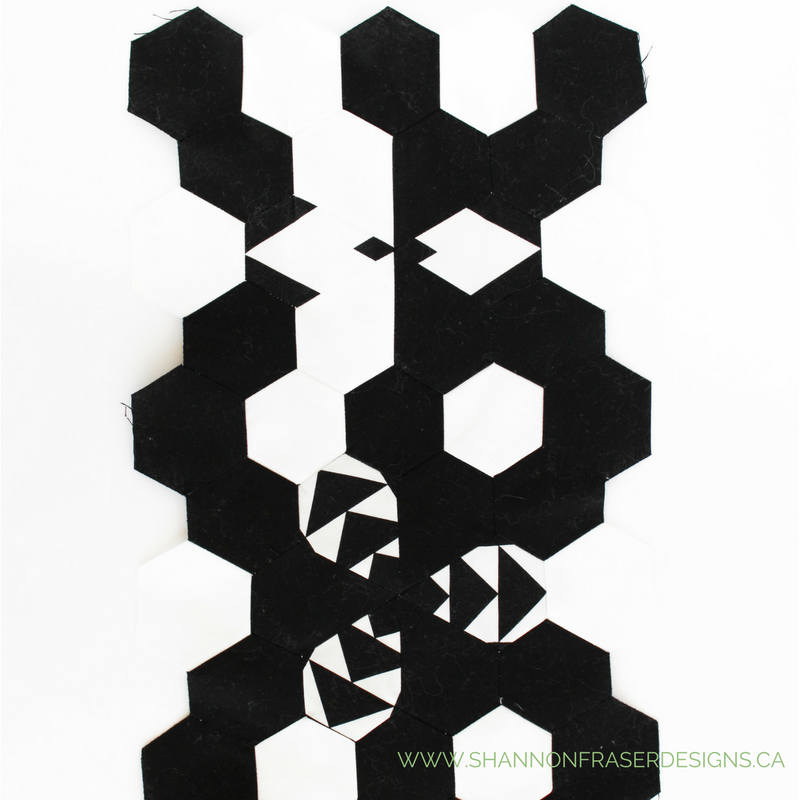 The black and white hexie project looks amazing too. Good luck tackling your projects the next quarter. Love you WIP's! I can't wait to see them all done. 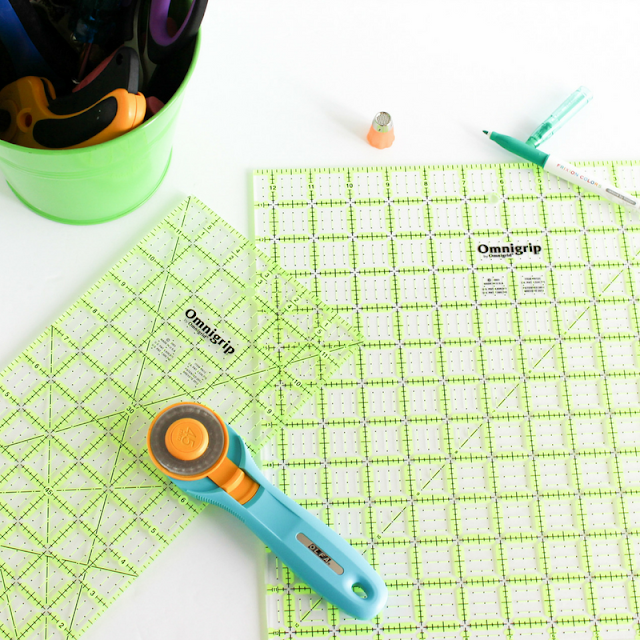 Good luck & happy quilting! You know I'm a big fan of that little owl - so cute!! So happy to see you making such great progress on your projects and I just know there will be many checkmarks on the to do list this quarter! Time really does fly by and I totally get that some progress is better than none. Pat Bravo is the absolute sweetest! Good luck with your goals and thanks for linking up for Q2 on behalf of the 2017 FAL hosts.